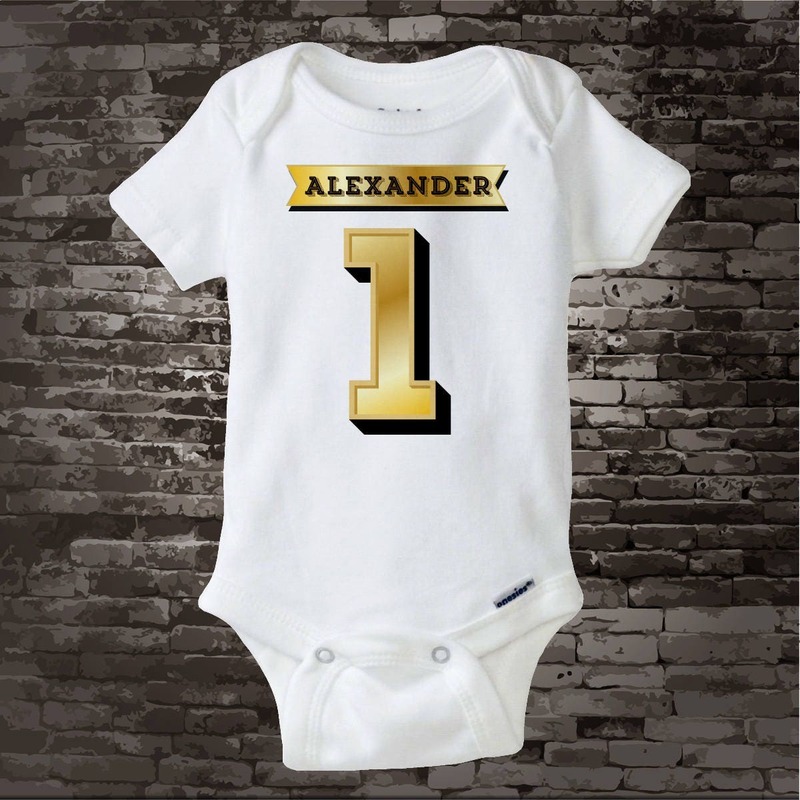 Boys Golden Number Birthday Onesie or Shirt. This Tee Shirt can be personalized with any name or with any nickname along with the Big Gold number of their age. 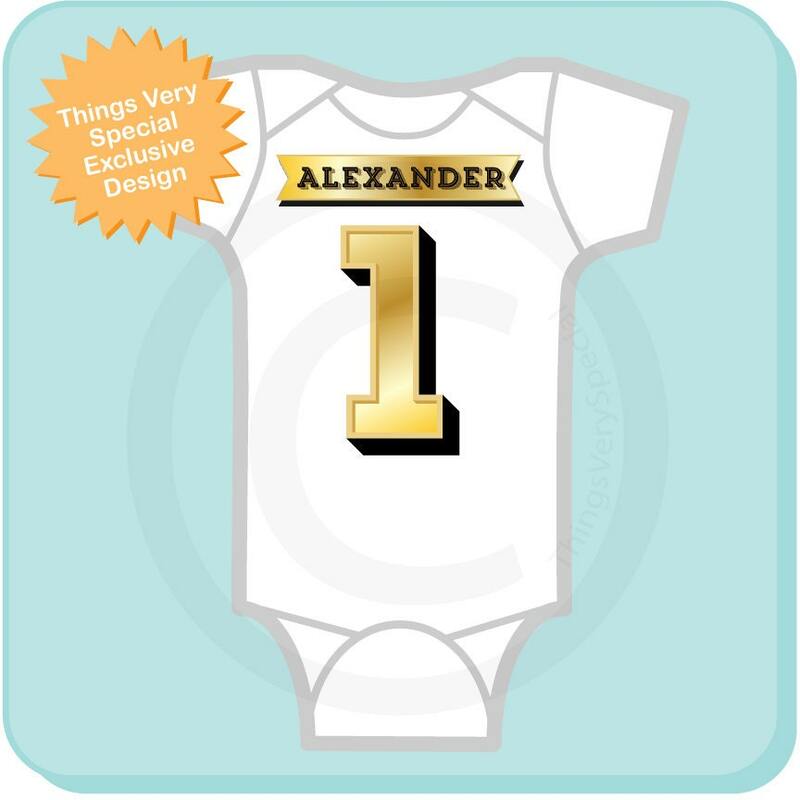 If your little boy just loves gold, this design is perfect for him. This design is printed in standard ink and is not metallic in any way nor does it have any foil effect. 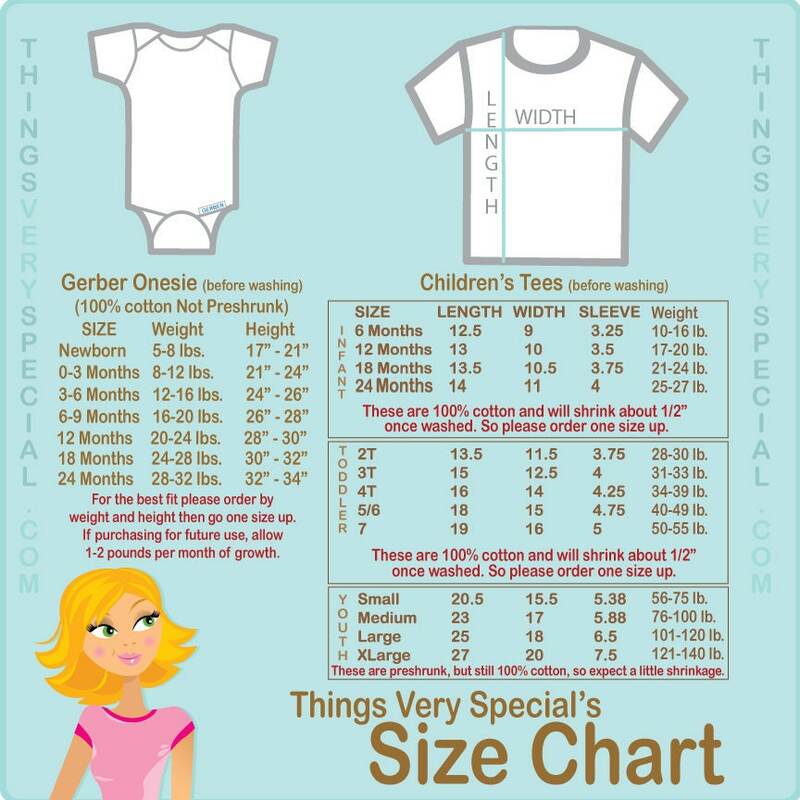 Size of tee shirt or Gerber Brand Onesie (R). The best suggestion I can make on picking a size is to take one of the tees your child has now that fits them the way you would like this to fit and lay it flat. Then measure from where the collar meets the shoulder down the front to the hem. That is the length measurement. Then measure from arm pit to arm pit across the front and that is the width measurement. Then check the size chart in the listing, see which one of my tees is closest to that size without being smaller in either direction. Then for Infant or Toddler tees sizes 6 months to 7 go one size up from there. The Infant and Toddler tees are not pre-shrunk so they will shrink about 1/2 a size after you wash it. The Youth sizes are preshrunk so no upsizing is required for those. **LONG SLEEVES AVAILABLE the drop down above. Perfect! Can't wait to use it, then add it to a baby clothes quilt later on :) Thank you! !